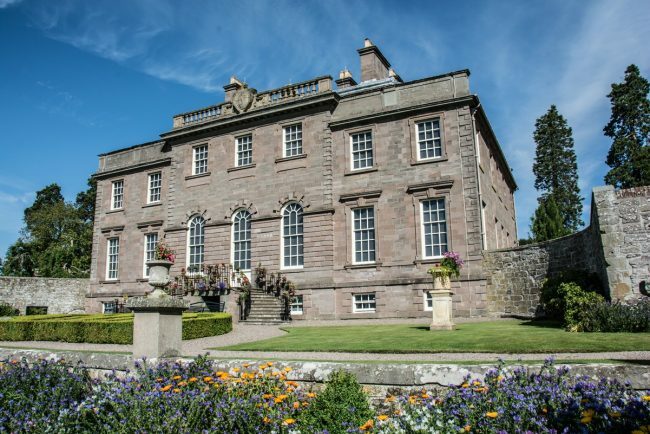 Designed with Georgian pride and baroque extravagance by renowned architect William Adam, House of Dun is every bit the perfect 18th-century laird’s home. It took 13 years to complete and the precision shows in the fine details. Joseph Enzer’s plasterwork in the saloon is masterful – classical tableaux and family emblems rise thickly from the walls and ceilings with filigree flourishes. Throughout the house, hand-stitched woolwork and embroideries by Lady Augusta FitzClarence, daughter of William IV and actress Dorothy Jordan, are equally impressive. Downstairs in the kitchen see how the house was at the forefront of technology, with a labour-saving clockwork spit to make work easier for the cook and her staff. Finally, step into the wildlife-rich outdoors, where beautiful formal gardens are surrounded by acres of Montrose woodland.